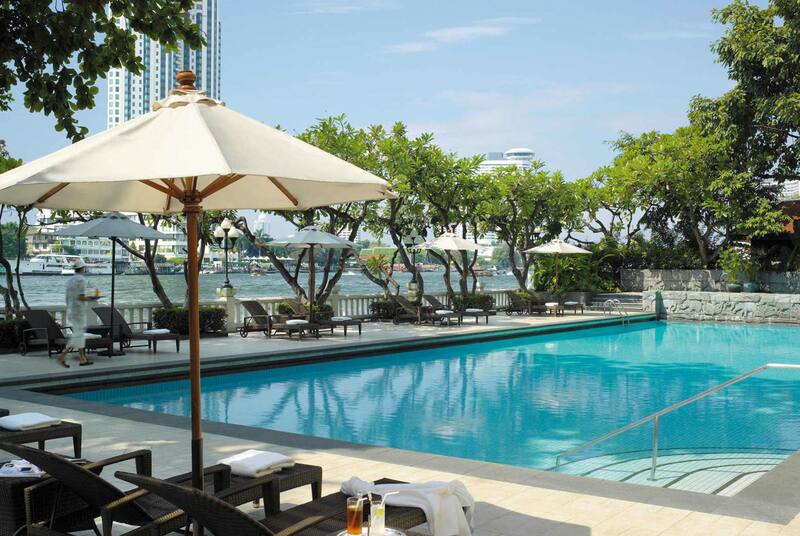 Shangri-La Hotel, Bangkok, comprises 802 luxurious guestrooms in two adjacent towers, Shangri-La Wing and Krungthep Wing. All rooms have river or city views. The rooms are decorated with classic Thai touches, including silk and teak finishings. Rooms in the exclusive Krungthep Wing offer garden balconies overlooking a private pool and the Chao Phraya River. The restaurants at Shangri-La Hotel, Bangkok, offer an international range of culinary choices. Enjoy traditional Thai food, Asian and cosmopolitan dishes, or be tempted by an international buffet on board Horizon Cruise, its private river cruise ship. Dine at Angelini for authentic Italian dishes or at Shang Palace for Chinese favorites.